We’ve added product reviews to vinqui.com product pages. We welcome you all to post your opinions helping others make decisions and helping us refine our products. Remember, posting a review can make a difference so please get involved. 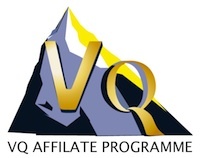 VQ are pleased to announce our updated Affiliate Programme. The VQ Affiliate Programme gives website owners the opportunity to earn money by referring buyers to the VQ website. To earn money, website owners display a VQ banner on their website. Should an Internet user click on the banner and make a purchase on the VQ website, you the website owner will receive commission from the sale (total price excluding delivery). Banners for Tennis and Volleyball have been added to the existing Badminton, Table Tennis and Ultimate banners in the VQ Affiliate Programme. Banners for Badminton and Ultimate have been added to the existing Table Tennis banners in the VQ Affiliate Programme.